It's not everyday that our nation elects a new president. And although I am more than tired of hearing campaign ads and seeing yard signs, I am eager to exercise my right to cast a vote...a passion I hope to ignite into all of my children. I realize that the national "Kid's Vote" campaign has made significant strides in spreading the excitement to the next generation of voters, but it does very little to teach kids about the actual election process. So in keeping with my desire to incorporate real-life into learning, I have pushed "pause" on our current Egypt study to complete a mini-unit on voting...specifically voting for a new president. We watched a youtube video on what the very first election process was like. I also gleaned inspiration from several great on-line resources which I have compiled on my Government Pinterest board. In an effort to clearly explain the election process, I decided to host a 2012 Family Dinner-Time Election. I joined forces with the Announcer's Wife to put together both a PRIMARY and a GENERAL election to elect the dinner to be served on election night. Our family was one political party and her family was the opposing party. I began by allowing each of my four older kids to pick a dinner-time candidate...a main dish that they enjoy. After looking at a few campaign ads and posters we had received in the mail, they were each instructed to make a campaign poster for their nominee. When the Hubs arrived home for lunch in the afternoon, we spent some time conducting a "town hall meeting" or simple debate. The children were each given a chance to explain why their dinner candidate was the best choice and why the others were not. I explained that voters take many factors into consideration when determining their vote. The Hubs and I (as the audience) asked questions and pointed out key "considerations"...like the fact that we might not have the ingredients for that particular item, the Announcer's family is mostly gluten free, mom has a meeting to get to on election night and might not have a lot of time to cook a huge time-consuming meal, etc. They all did a fantastic job responding to our concerns just as a real presidential nominee would do. Next came the voting. I made up simple "official ballots", set up a voting station, and invited the family to cast their vote for the PRIMARIES. The votes were counted and WAFFLES came in with a commanding lead. I then explained that we would need to choose a "running mate" for our candidate. We discussed how a presidential and vice-presidential combination was much like a dad and mom partnership. Dad is in charge, but Mom is second-in-command and is a helper to Dad. Just as Mom has many strengths that compliment Dad's, a Vice-Presidential nominee is chosen because his/her strengths will compliment that of the Presidential candidate. We all agreed that FRUIT would make a nice "running mate." In a humorous twist, the Announcer's family elected PANCAKES and BACON to represent their political party in the general elections. Our two families will be meeting together the Tuesday of the national elections to conduct our own general election. I have made up simple ballots for both readers and non-readers alike. The votes will be cast and tabulated. Later that evening, I will be serving up the winning combination at the dinner table. Who knows which dinner-time combo will win in this Battle of the Breakfast Foods. Right now, it's too close to tell. 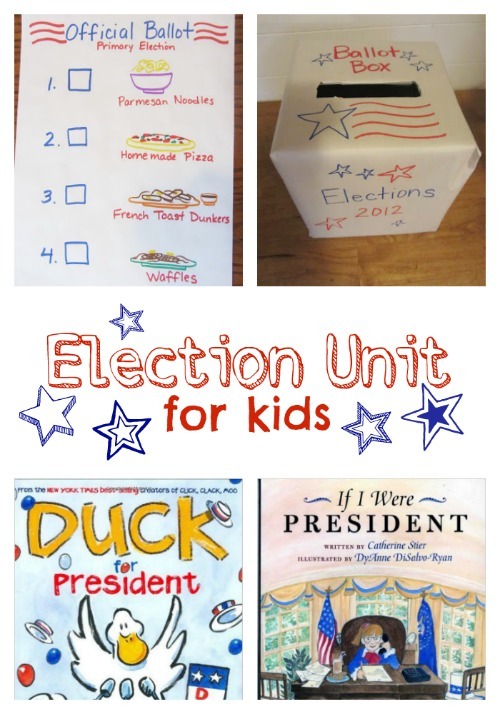 I love the idea of participating with another family--a great way to show the political parties, and primary vs. general election without needing a classroom full of kids. Breakfast for dinner is a favorite around here, too! I thought for sure it would be pizza in a land slide. But, they are constantly surprising me. 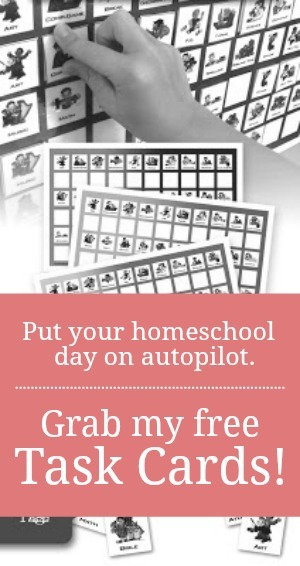 Surfing through the Homeschool Blog Award nominees. Breakfast for dinner happens about once a week in our house. I'm trying to think of how to modify it to our slightly different Canadian system. We vote for an Member of Parliament. The party leader who has the most MP's elected becomes our Prime Minister. So if we vote for in Waffle party candidate we get waffles for dinner. If enough people vote in a Waffle candidate the whole country gets waffles. I just realized the humour in having a Waffle party.